The site in question is located in front of Berrimah Business Park, which is just off Stuart Highway near Darwin. At the start of the project, there was no vegetation at all on the site, which is essentially a run-off drain from the highway. 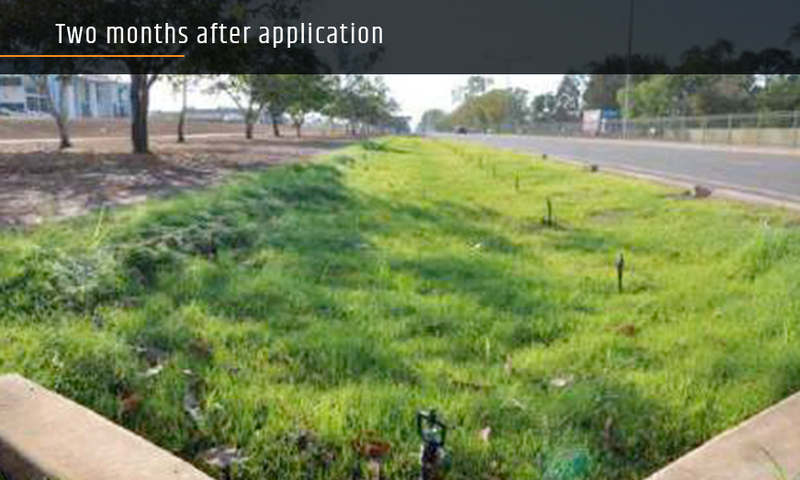 Our spray-on erosion control method, GeoSpray, was applied to prevent erosion and washouts at an application rate of 1.5:1. 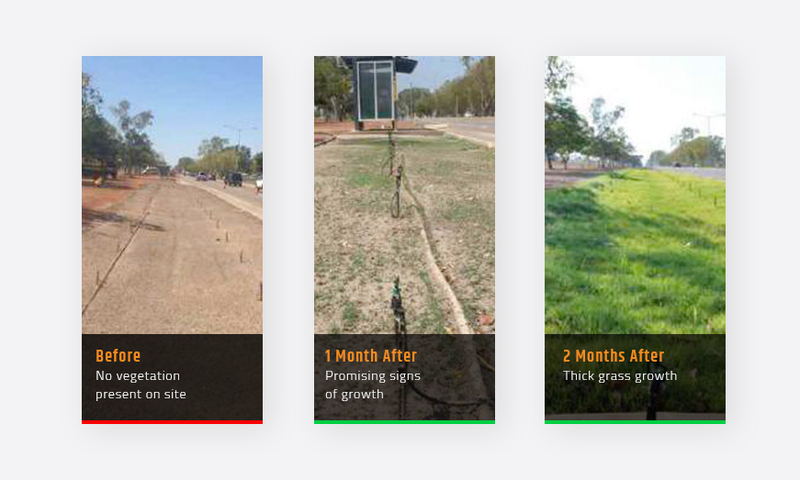 Grassing was also applied and the site was irrigated 3 times per day for 15 minutes at a time. None of the product has washed away since application, and the grass on the area has grown thick and plush through the GeoSpray membrane.